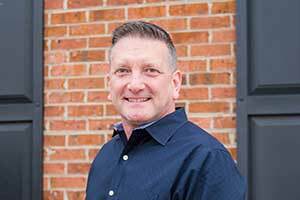 Brett has over 25 years combined experience in public accounting and private industry. Through his career in public accounting, he has proven experience in preparing financial statement audits, reviews and compilations, including employee benefit plan audits and compliance. He also plays a key trusted advisor role with clients as a business consultant, along with corporate and individual tax planning and preparation. As a corporate Controller, he gained a wealth of experience with corporate cash management, payroll and personnel issues, financial budgeting, and banking relations. Brett is qualified to be a peer reviewer under the AICPA’s Peer Review Program. As a peer reviewer, Brett helps other firms achieve their accounting practice goals and enhance the quality of their practice under the profession’s self-regulatory efforts. Outside of work, you will find Brett enjoying the city life and all things Baltimore. If not spending his time with friends and family in his hometown, Brett will most likely be on the beach in Florida or at the Finger Lakes in Upstate New York. 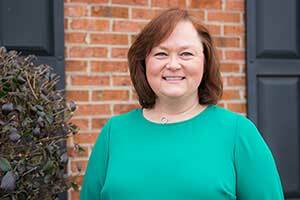 For more than 20 years, Tammy’s public accounting career has focused on providing strategic and practical guidance to business owners. She is passionate about educating entrepreneurs to understand their financial statements and tax returns so they can use them to make better business decisions. She has proven experience in QuickBooks consulting, outsourced CFO services, preparing formal financial statements (compilations, reviews, and audits) along with corporate and individual income tax planning and preparation. Tammy received her BA in Computer Accounting from Stevenson University (formerly Villa Julie College) and is a Certified Public Accountant. She is also a Certified QuickBooks Professional Advisor and is a member of the AICPA and the MACPA. 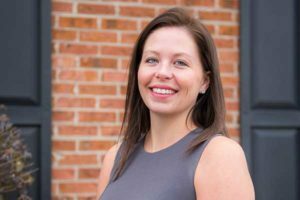 Her passion for spreading financial literacy has set her apart from the average CPA, resulting in several awards and recognition for her volunteer and mentoring efforts in the Baltimore business community. Tammy spends most of her time outside of the office with her family – husband, Keith, teenage sons, Zach & Andy and their Jack Russell, Denny. She enjoys traveling, camping, hiking, various volunteer activities and cheering on her boys from the sidelines of the football field. Donna joined the Taurus team in October 2018, bringing over 30 years of public accounting experience with her. Donna’s responsibilities include tax and financial accounting. She prepares reviewed and compiled financial statements, individual and business tax returns. She also has many years of experience with QuickBooks. 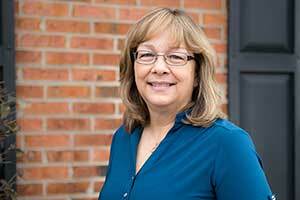 Donna received her associate’s degree from Villa Julie College – now Stevenson University. She is a QuickBooks Pro advisor, and a member of the MACPA. When not at work, Donna enjoys spending time with her family, friends and trusty sidekick, her dog Shadow. She loves to travel, read, hike and hopes one day to visit all of the US National parks. Born and raised in Alaska, Jacqui decided to put down roots in the Baltimore area in 2012. She graduated with her Bachelor’s in Business Administration and her Master’s in Accountancy from the University of Phoenix, and as of June 2017 became a Certified Public Accountant. 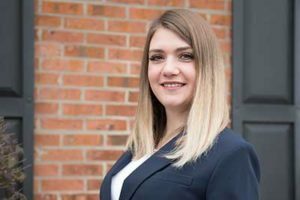 Since joining the Taurus team in May of 2016, Jacqui has been learning the ins and outs of public accounting; particularly enjoying the professional relationships being built with our clients as they start and grow their businesses as successful entrepreneurs. Away from the office Jacqui enjoys spending time with her three girls Hadley, Audrey, and Scarlett – you can often find them exploring the city or playing at the beach. 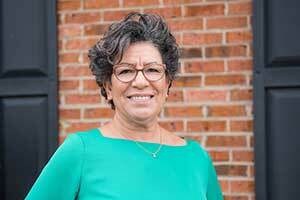 Jacqui loves Maryland for its flourishing equestrian scene; and she spends as much time as possible in the outdoors and with her horse, Donner, and German Shepherd, Maxie. Anastasia was born and raised in a beautiful city named Kazan, located in central part of Russia. She moved to the United States when she was 19 to pursue a degree in education but soon realized that it wasn’t her passion. After taking some time off she decided to return to college and explore a degree in Business. After receiving her Associate’s in Business Administration she decided to narrow her interests down to the field of accounting. She graduated with her Bachelor’s in Accounting from Towson University in December of 2017. Anastasia is excited to be a part of Taurus team and apply her academic knowledge to practice. Outside of work, Anastasia enjoys spending time with her two children and friends. Having been raised in a big city, Anastasia really appreciates the city scene. She enjoys going out on the town, visiting galleries and museums, exploring new restaurants, and attending cultural events and festivals. Living in the United States hasn’t made Anastasia forget about her roots. Anastasia’s main hobbies involve reading Russian classics, with Dostoyevsky being her favorite author, and preparing traditional Russian meals. After spending over 20 years as an administrative executive assistant, Juls joined the Taurus Team as the Administrative Support Manager. Born and raised in New York City, Juls joined the U.S. Army following nursing school and has lived in various parts of the U.S., and in Europe. During her time in the military, Juls found her organizational skills were a perfect fit for the office environment, leading to a career shift. When Juls is not in the office, she is spending time with her spouse, their three children, and one grandchild. Most weekends are spent enjoying watching them play soccer and basketball. An avid theater goer, and lover of Baltimore, she is a regular attendee at the beautiful Hippodrome theater.